So, every so often my lips will get all chapped and dry especially in this waem weather, and lip balms never make them 100% better and let's face it.. dry chapped lips aren't a good look under your lipstick. So to get my lips soft and smooth I've been making my own lip scrubs to get rid of any dry skin on my lips. 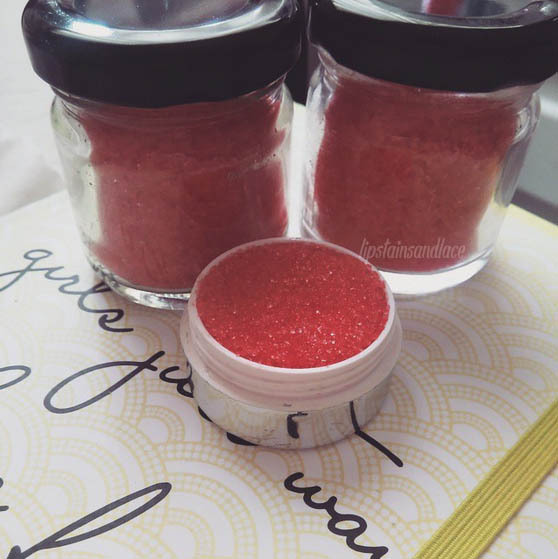 I used to just use a toothbrush but I found them too hard and rough on my lips so I started making my own yummy lip scrubs. Flavouring such as vanilla essence, you can also buy different flavours such as cola and bubblegum online! To begin melt a small amount of vaseline or coconut oil in a pan, add in some sugar, a couple of drops of your flavour of choice and add in a little food colouring. When you have all the ingredients mixed together you can place them into containers. I find that the small used jam jars and old lip balm pots work best! 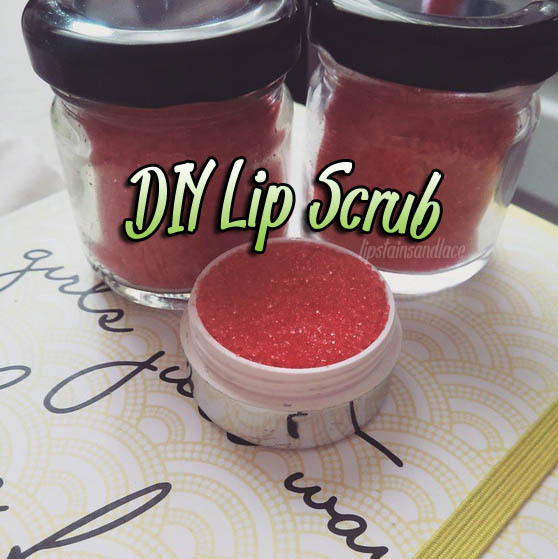 Leave the lip scrub set for a little while and then you're ready to have smooth soft lips. Another thing that I love about this lip scrub is that you know exactly what goes into it and it tastes good too!